Tony Yun appeared on Show 363 on November 17, 2018 in Storrs, Connecticut. 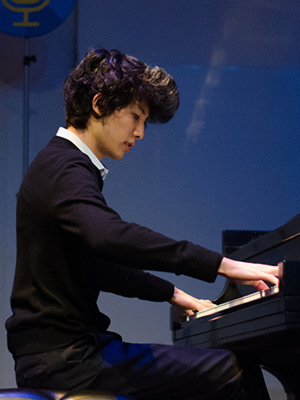 Tony Yun (piano), 17, has lived in Beijing, China and Toronto, Canada and currently resides in New York, New York, where is a junior at the Professional Children’s School. He studies with Matti Raekallio at The Juilliard School’s Pre-College Division. He was the winner of the 2018 Thomas and Evon Cooper International Piano Competition, presented by Oberlin Conservatory of Music and The Cleveland Orchestra. In his spare time, Tony enjoys tennis, swimming, and reading.